Cyprus Comic Con has the honour of announcing the return of Game of Thrones’ actor Miltos Yerolemou, as our Special Guest for CCC17! Miltos is a critically acclaimed, Shakespearean trained actor, best known for his seminal appearance as Syrio Forel, First Sword of Braavos, in HBO’s global hit TV show Game of Thrones. He is British-Cypriot in descent and his family live in the village of Ayios Theodoros. Miltos has an impressive list of theatre credits to his name, as well as a number of television appearances, most notable the British comedy series Absolutely Fabulous, Black Books and My Family. Other big-screen credits include The Danish Girl (2015), Star Wars: The Force Awakens (2015) and Murder on the Orient Express (2017), due to be released this November. Step into the shoes of young Arya Stark and train in the Braavosi sword art of the Water Dance, at two exclusive Water Dancing classes taught by Miltos Yerolemou on Saturday 2nd of September, in Hall B (Section B)! Both classes are limited to just 30 people per class and have an attendance fee of €25.00 per person as well as include a signed certificate of attendance and selfies with Syrio Forel himself! To secure your slot, you need to pre-purchase your ticket using PayPal or credit card and print out the e-ticket receipt or save it on your phone as proof of purchase. You will be asked to show your e-ticket receipt when you arrive. 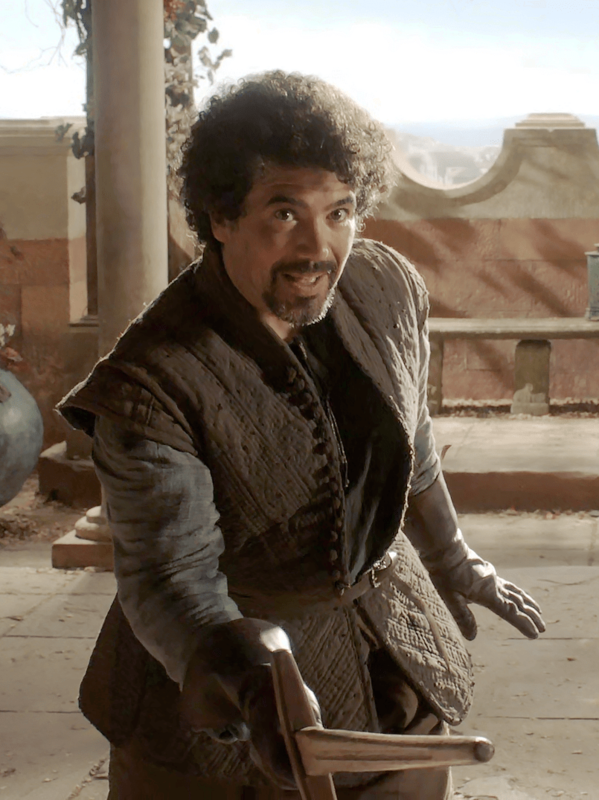 Syrio Forel: What do we say to the god of Death?